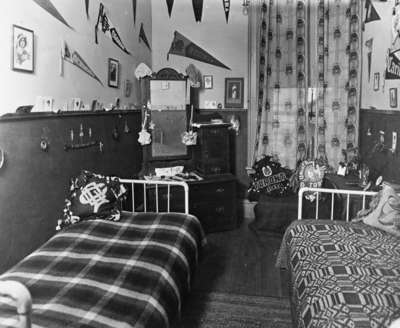 This is a black and white photograph of a student's bedroom at the Ontario Ladies' College. Student Room at Ontario Ladies' College, 1914, Galbraith Photo Company. Whitby Archives 23-000-161.